Final assembly will soon start on the first completed car bodies from Merseyrail’s new fleet of metro trains. Stadler project manager Fadi Khairallah said it is entering an exciting stage now with the trains “really starting to look like trains”. By the end of September, car bodies will start being transported to Switzerland, where all components will be attached to form complete trains. This involves fitting the bogies, equipment cases, piping, wiring, flooring, windows, seats and other internal fixtures. Initially, it will only be conducted in Altenrhein, Switzerland, but from March 2019 it will also take place in Siedlce, Poland. For the first six units, a single car body will be dispatched each week. After that, it will be four car bodies per week until the process is complete. Car body production has been taking place since June in Szolnok, Hungary, where they are being machined, welded, sandblasted, given anti-corrosion protection and painted. Manufacturing of the first train is expected to be complete by early 2019, ahead of extensive static testing. The first train will then be taken to the Liverpool City Region for dynamic type-testing on the Merseyrail network. This is scheduled to take place in the summer and autumn of 2019. 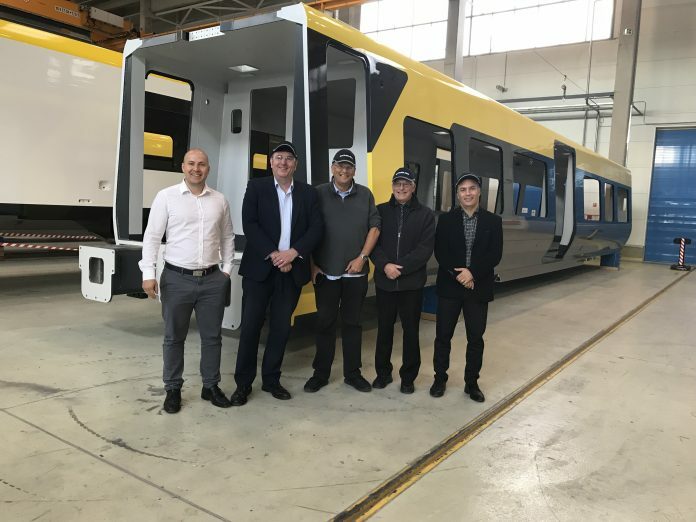 The new fleet of Stadler trains are being introduced on to the Merseyrail network from 2020 with the entire fleet operational by 2021. A contract valued at up to £700 million was signed between public transport agency Merseytravel and the Swiss rolling stock manufacturer in February 2017. This covered the supply and maintenance of 52 metro trains and a new maintenance depot in Kirkdale. Progress is being made on the depot a in preparation for the new trains. Piling of the new maintenance shed was completed in August, with foundation work beginning a few weeks ago. The steel frame is currently being built and the track bed is being prepared, including traction power upgrades. The steel frame, cladding and roof for the new office building have now been built, and the internal walls and fittings are all taking shape. It’s strange that it’s been numbered Class 777. But hopefully the new trains for Merseyrail will replace the Class 507 and Class 508 rolling stocks that will be sent for scrap when the Class 777 trains enters service from 2020.